KOTA KINABALU: The usage of natural gas in the industry will help reduce cost and preserve the environment. Speaking at the Commissioning ceremony of Sabah Energy Corporation Sdn Bhd (SEC) Compressed Natural Gas (CNG) Project via Virtual Pipeline System at Colourcoil Industries Sdn Bhd in Telipok yesterday, Resource Development and Information Technology Minister, Datuk Siringan Gubat said that using the cleaner fuel is akin to contributing to the environment. 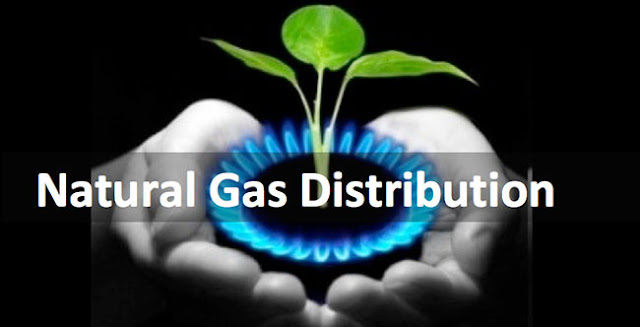 “As compared to the traditional fuel source, natural gas is a much cheaper and cleaner fuel. This will translate directly into cheaper operating cost, hence better bottom line. At the same time by using natural gas, the mother earth will thank you for being green. “We will also be able to preserve our pristine environment and maintain our position as preferred eco-tourism destination,” he said adding that using natural gas is in line with the government’s policy to encourage the use of cleaner energy to drive economic growth. Compressed Natural Gas Project via virtual pipeline system is a natural gas distributing mode for distant customers, where ‘mother station’ supplies natural gas to ‘daughter stations’ at customers’ premises. SEC Chief Executive Officer, Datuk Harun Ismail explained that the virtual pipeline system works by having a mother station which is at SEC’s terminal in KKIP. “CNG is supplied to the customers to their purpose-built daughter stations by lorries. And in order to ensure seamless supply of the fuel, a daughter station monitors the level of gas and automatically order for supply when the gauge is low. “Upon receiving the order, a lorry laden with CNG will be dispatched to the daughter station from the mother station. The CNG laden containers will roll from the lorry, down to the daughter station purpose-built platform, before the empty containers roll from the platform onto the lorry,” he said adding that all the process are being done without stopping the flow of CNG to the customer’s operations. Harun said that SEC chose to employ the system due to the high cost involved in building physical piping system to the customers, which renders it uneconomical. According to him the virtual pipeline system is a proven technology and has been used successfully in many countries including Argentina, Brazil, Bolivia, India, Philippines, and Singapore. “The technology provider of the virtual pipeline system is GNC Galileo of Argentina, which complies with accepted international standards such as ISO 9001 and ISO 15500. “The system was officially launched by the Chief Minister, Datuk Seri Musa Hj Aman in July 2012, and the first gas roll out was achieved 11 months later on June 10, 2013,” he said adding that SEC has a complete team of trained and competent engineers and technicians to assist customers on the gas usage and the supply system. Harun disclosed that Colourcoil Sdn Bhd is one of seven earliest customers who signed the sale and purchase agreement with SEC. Also present at the ceremony were Argentine Ambassador to Malaysia, Maria Isabel Rendon, CNG Galileo S A, Asia Pacific Regional Manager, Juan Ojenguren, and Colourcoil Sdn Bhd Managing Director, Roger Ling. Hi. All the while I also thought that NG was cleaner than coal until recently that if we consider the "life-cycle" of NG production it could be worse than coal. Previous study claimed Methane was 21 times worse than carbon dioxide in trapping global heat but the new claim could be up to 72 times worse which makes NG not better than coal in power generation.